September | 2015 | Lit.Wit.Wine & Dine. I admit that I was excited, really excited, when I heard about this book. After reading all 544 pages, I found myself more than a little let down. I was expecting to read about new research, treatment/therapy options, and ways for families to support one another and the autistic person they help care for. 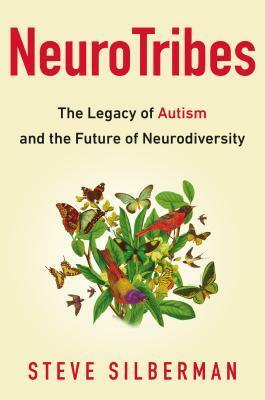 The book was largely about the history of autism and ASD morphing into the clinical diagnosis and diagnostic criteria we know today. The history was just dry. Lots of people (clinicians, parents, advocates, etc.) discussed, sometimes too many at one time. Though the Nazi experimentations and eugenics histories were appropriately horrifying, I’d read about them before. I was really hoping for new news. Though there were some histories of persons and families that I could connect to, I didn’t feel as though I had really learned anything after reading this book. Yes, many people in the past (and present, I’m sure) have been misdiagnosed and overlooked which (at least perhaps partially) accounts for more recent diagnostic spikes. Yes, people with ASD are making and have made amazing contributions in our society. Especially in the areas of technology and the arts. Yes, we should focus more time, money, and energy on identifying services helpful to individuals and families and making them accessible to all. Again, this is just not new news. Set in beautiful 1800’s St. Thomas, The Marriage of Opposites is the life story of Rachel, the mother of Camille Pissarro. As a young girl with very modern sensibility, Rachel is frustrated by the confining rules for and roles of women born in that era. Though her father educates her on practical matters, such as how to manage the ledgers for the family business, she must eventually fulfill her family obligation and marry a widower, much her senior, with three young children. She does her best to conform and goes on to have children of her own with this man though she doesn’t love him (but does have a great deal of affection and respect for him). When she herself is widowed and a representative of her late husband’s family is sent from Paris to settle the estate, a scandelous relationship develops that will threaten the reputations of Rachel and her entire family. 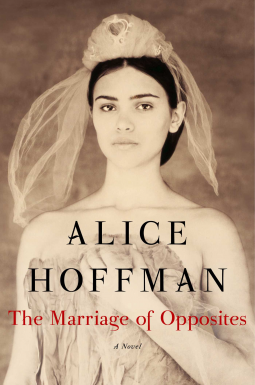 There is no doubt that Alice Hoffman writes a beautiful book every time! She has a way of weaving the most interesting characters, historical facts, exotic locations, and women’s (human) issues that is beyond compare. In this book, I found the history behind one of the most important artists of the period to be both tragic and fascinating. The characters were richly developed – even the few that were less than endearing. There are stories within stories and layers of secrets and multigenerational complexities that ensure there isn’t a boring moment in this book. Thanks to Crown Publishing via NetGalley for providing me with a free copy of this book in exchange for an honest review. 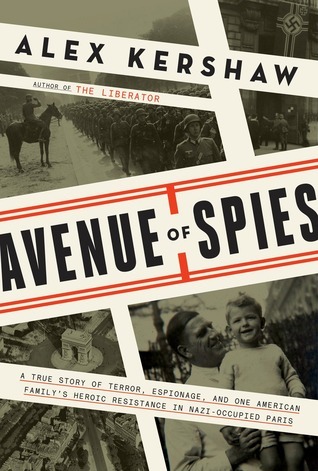 Avenue of Spies is the story of the Jackson family during the Nazi occupation of Paris. Sumner Jackson is a well-respected physician working at the American Hospital. He and his wife, Toquette and son, Philip reside on the Avenue de Foch, one of the most prestigious avenues in Paris. They are forced to watch as many of their neighbor’s homes are overtaken by the the highest-ranking and most ruthless leaders of the Nazi regime. Dr. Jackson uses his position at the hospital to help where he can. His contribution to the French resistance involves helping fallen Allied pilots to safety in Spain. For her part, his wife agrees to help by coordinating a central location for resistance members to exchange information within their home – directly under the noses of their Nazi neighbors . Sadly, it all comes to an abrupt halt when they are finally discovered. Though not an easy read, this was a very interesting story. It differed from some of the other books regarding the occupation of Paris that I’ve read in that it focused primarily on one family, their heroic efforts, and willingness to risk everything. There were several interesting historical facts that I either didn’t know or had forgotten – including the unwillingness of some of Hitler’s officers to follow his order to reduce Paris to rubble when defeat was imminent. Though there were obviously some parts of the book that were difficult to read, I found that it read more like a novel and was hard to put down. I would definitely recommend this book to anyone wanting to learn more about that period in French history. Thanks to Atria Books for providing me with a free copy of this book via NetGalley in exchange for an honest review. 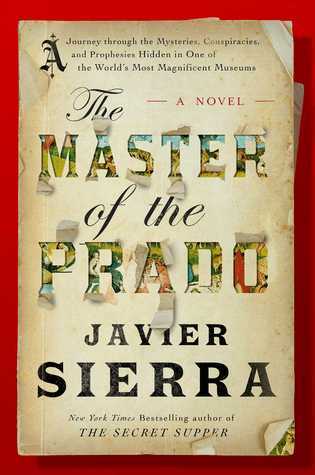 Javier is a college student who encounters the mysterious Dr. Fovel while contemplating a painting at the Prado in Madrid. Dr Fovel begins to teach Javier about the mysterious hidden meanings in the paintings of some of the great masters such as Raphael, Boticelli, Titian, El Greco and others. He appears mysteriously whenever Javier visits the museum desirous of further teaching. When another mysterious man enters the picture by showing up at the home of Javier’s girlfriend, warning her that that Javier should cease these meetings with Dr. Fovel, Javier’s curiosity is only fueled. He is determined to find the answers he’s looking for at all costs. This book was written as a fictionalized autobiography which was interesting. At times I found all of the historical references somewhat confusing. I liked the plot but wish there was a little more to it. Though the (heavy) history lessons are an integral part of the story and the mysteries that Javier is attempting to solve, sometimes it just got a little too boring for me and I found myself wanting more action. Though it was a page-turner, that was because I was expecting it to get more interesting as the book when on as opposed to really loving what I was reading. The ending also left me with as many questions as answers. So much so that I would look forward to a sequel to tie up the loose ends. Don’t get me wrong, it was basically a good book but perhaps just not what I had expected. At first, it seemed Da Vinci Code-esque which I suppose could have shaped my suppositions. I should also mention that I would suggest investing in the printed book for anyone wishing to read this book as I found flipping back and forth to the paintings (which are also b&w vs. color in the book) quite cumbersome.